Customer marketing is on the rise for 2017, according to new research commissioned by marketing firm Influitive. Customer marketing is on the rise. Ninety-three percent of organizations expect their customer marketing efforts to take on greater importance this year, and 62% of respondents said they would increase marketing staff or budgets in 2017. 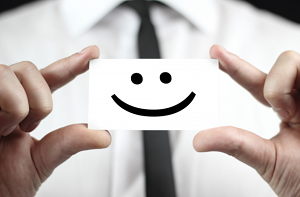 Just 61% were satisfied with the results of their current customer marketing strategies. Less than half said their current customer marketing efforts were tied directly to revenue metrics, revealing an opportunity to create a stronger connection between marketing and revenue. "The skills required from customer marketers are more akin to what's traditionally needed from a star sales representative," said Steve Gershik, CEO of Koyne Marketing. "Today's customer is looking for far more than just a transaction with a brand. So, modern marketing organizations need to hire customer marketers who can focus on deep, authentic relationship building." Which social marketing trends took off in 2016?